Explore our work in the 2017 Annual Report! 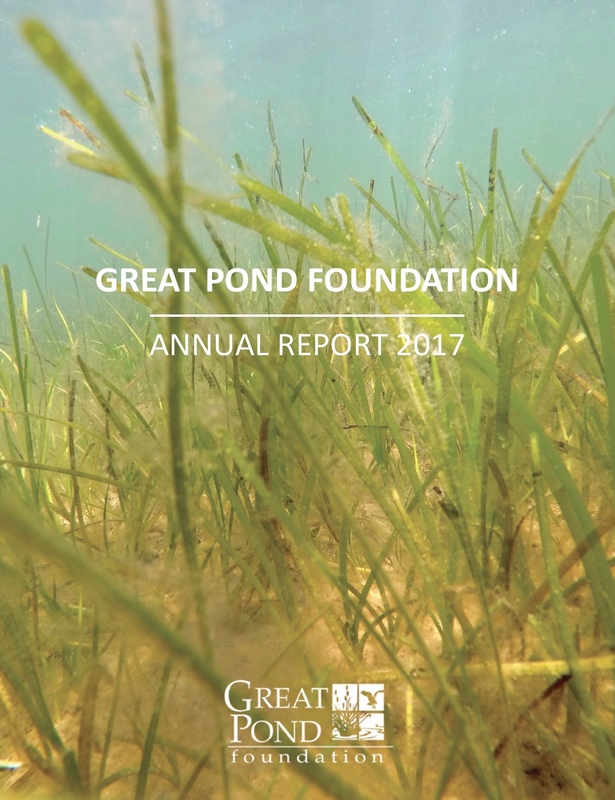 We are proud to bring you Great Pond Foundation’s Annual Report – 2017. Please explore our work and learn about how our data demonstrate the increase in water quality and Pond health over the last decade. ~ Learn about the wonders of Eelgrass and Blue Carbon. ~ Discover the results of our Tunicate/Eelgrass surveys. ~ Meet WHOI Engineer and STEM Camp Instructor, Megan Carroll.